Florida is a vacation mix-a-lot. Some people go to Florida to spend every day at a theme park. Others look forward to a glamorous tropical cruise. 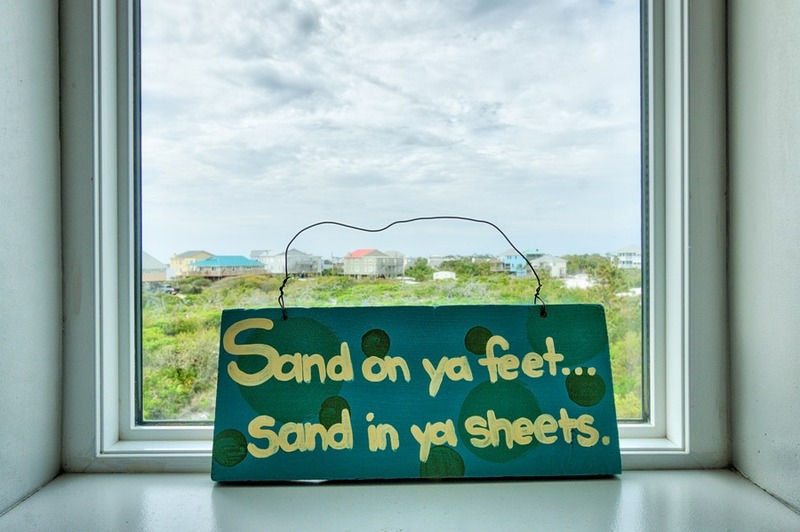 And last, but not least, it’s hard to resist the lure of Florida’s sandy white beaches. And that is why we came back to Florida… beach, sun, rest, and relaxation. And we found all of that on Cape San Blas in Gulf County. 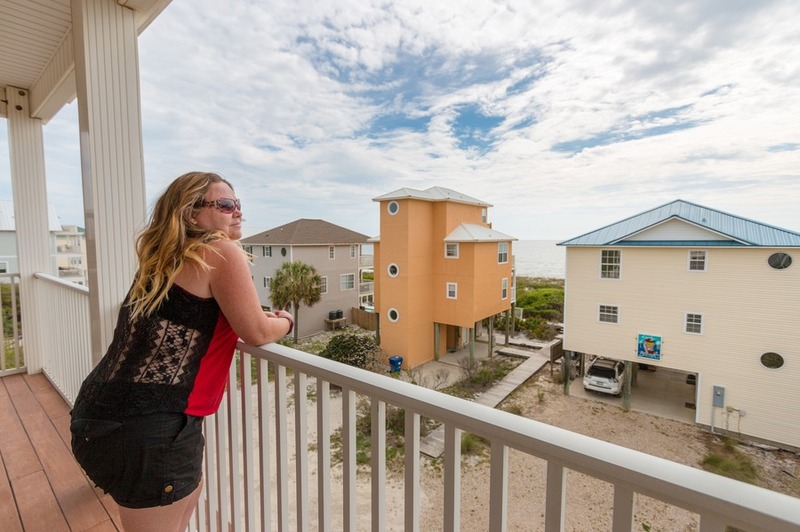 Where Is Cape San Blas? 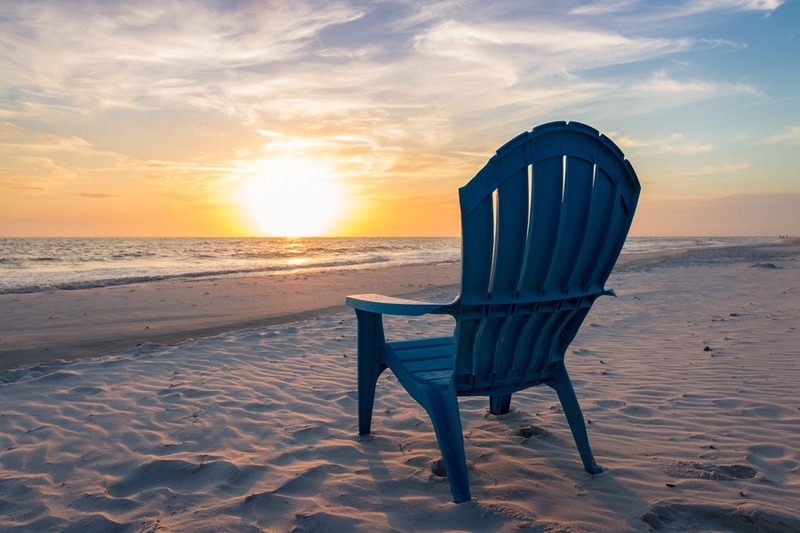 Cape San Blas is an unmistakable peninsula in Gulf County, situated in Florida’s panhandle (northwest region). 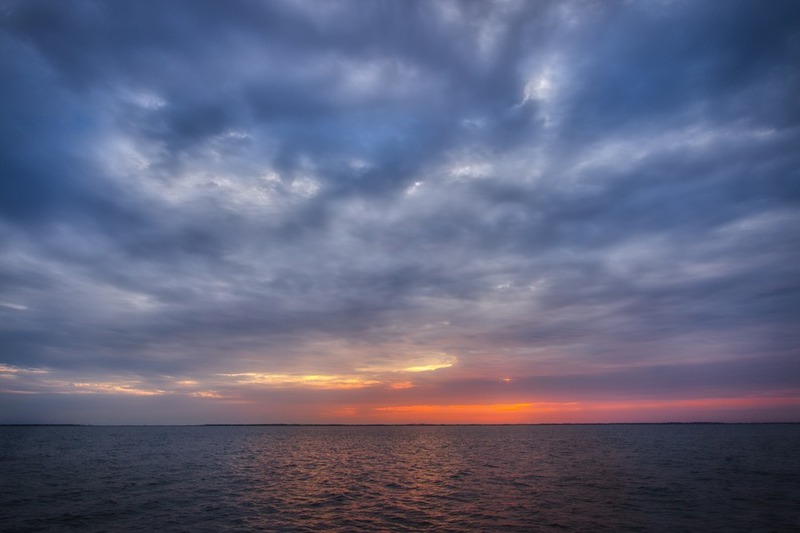 We drove up slowly along this spectacular slim sliver of land sandwiched between the gentle waters of Saint Joseph Bay on one side and the Gulf of Mexico on the other. After flying into Northwest Florida Beaches International Airport near Panama City, Florida, we picked up a rental car and drove about an hour and a half southeast to the Cape. On the way we passed through Mexico Beach (not to be confused with a beach in Mexico), and finally Port St Joe, which is the closest town to the Cape. Here we found a grocery store and all the conveniences needed to complete a beach getaway. We almost missed one of our scheduled tours because of one simple oversight. Gulf County is in Eastern Time (EST) whereas west of the county boundary (including the airport) is on Central Time (CST) – a 1-hour difference. Mobile networks can have a tricky time automatically setting your phone’s clock when you’re so close to the time zone border. So it’s best to manually set your phone’s time to New York. You are definitely going to need your own transport in this part of Florida. It is a beautifully secluded, out-of-the-way destination, which meant our best bet was getting around by car. But what we didn’t need it for was getting to the beach. Our house was literally on the sand. 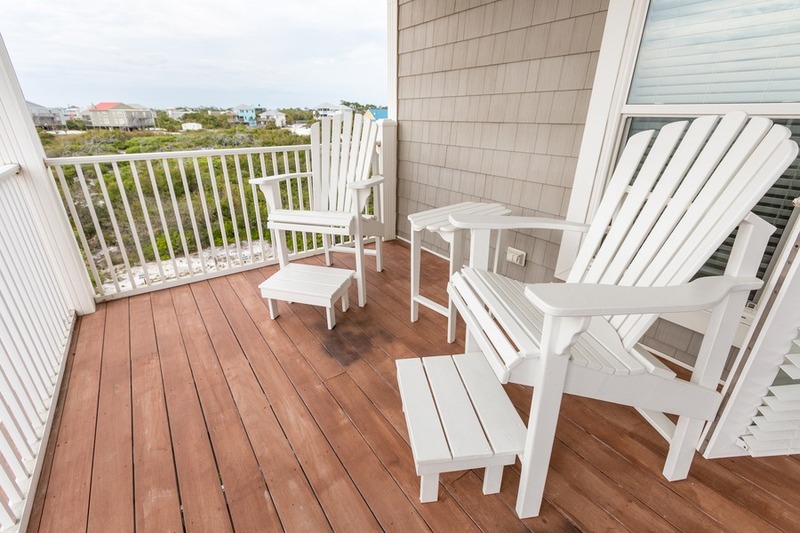 You can’t go wrong choosing a vacation rental on Cape San Blas, as almost all houses are very close to the beach. 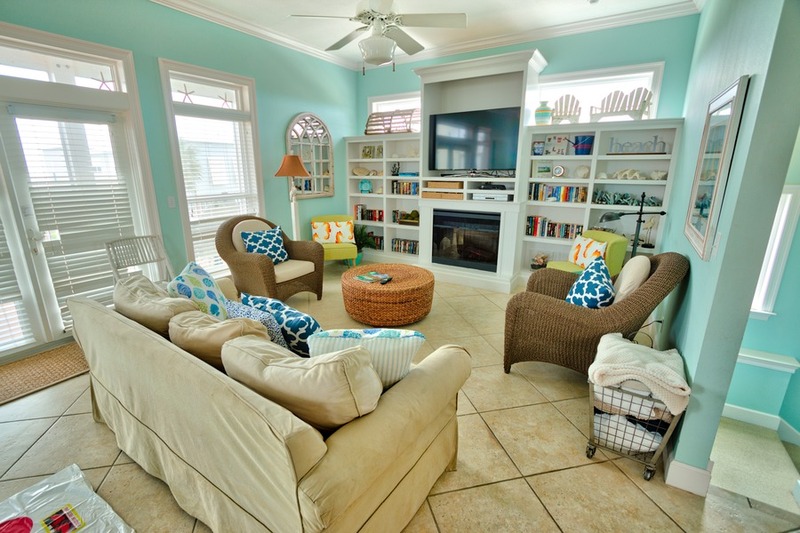 Our house was booked through local agent Coastal Joe Vacation Rentals. Their office is conveniently located on the Cape so we simply stopped in upon arrival to pick up the keys. Beau Soleil was our very own slice of heaven. I never wanted to leave. 4 floors of open-planned living space and luxurious ocean views. Even with 5 bedrooms to choose from our kids wanted to sleep together. 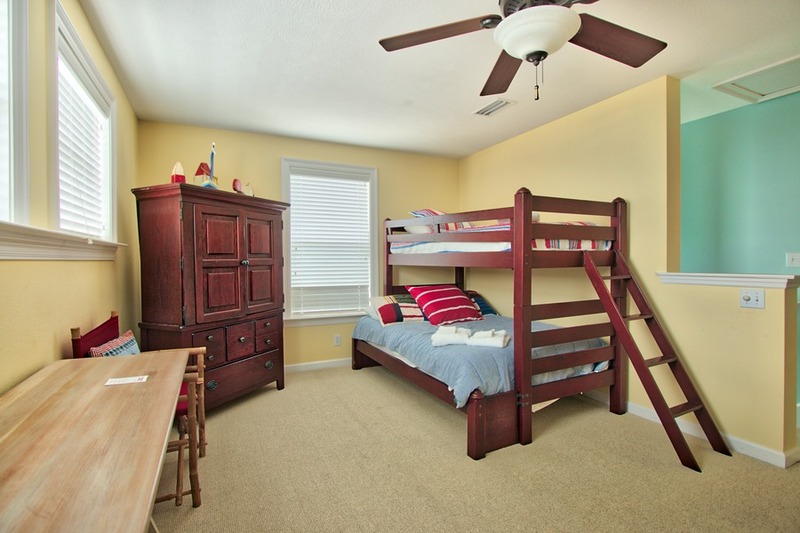 Their choice on the top floor was the kid-friendly bedroom complete with double bunks. And our bed? A giant king. It was so high I almost needed a pole volt to jump into it, and so soft it was like slumping into a cloud. But the best part? 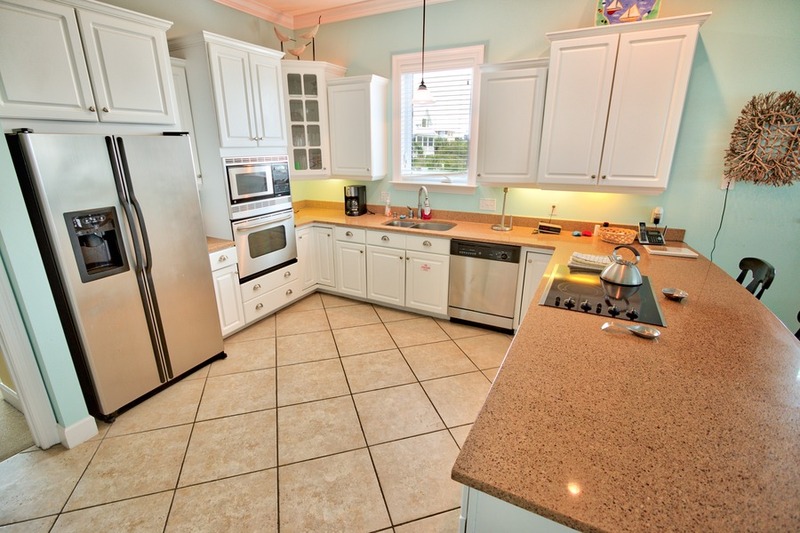 Direct views to the white sandy beach, blue ocean and the sound of gentle waves lapping the shore. As if the bedrooms weren’t awesome enough our ensuite featured a tall rain shower head plus spray jets out of the wall! The kitchen was fully equipped with more utensils than you could poke a fork at. Although there were no food supplies (not even salt and pepper) which I thought slightly odd. Perhaps I’m just a bit spoiled from Airbnb apartments. Surprises awaited in the carport - boogie boards, buckets, spades, beach umbrella and more. 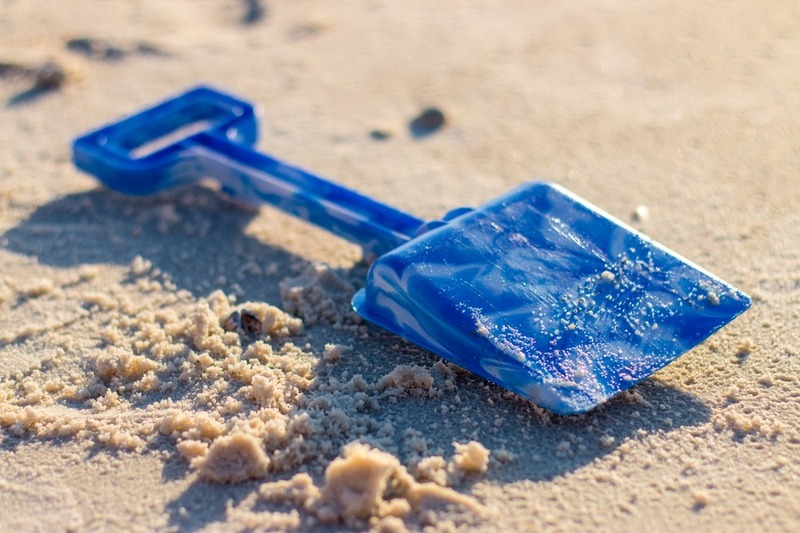 Our kids were never out of things to do on the beach with all that fun gear. And after all that sun and surf, once the kids were fast asleep in bed and the sun slipped to the sea, the balcony on the 2nd floor was the place to be for watching the glowing sky. A wrap-around fly screen ensured mosquitos stayed away. Our living room had an abundant supply of board games and we played everything from Connect Four to Twister on one rainy morning that delayed our beach fun. Everything about this house was aimed at rest, relaxation and water. When the kids were not building sand castles on the beach, or Josh and I taking romantic walks along the shore, we were still very active in (and on) the water. 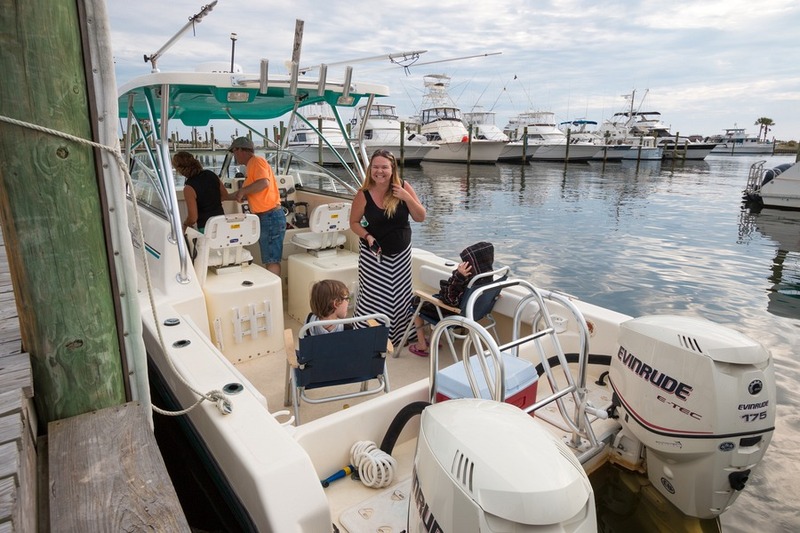 We discovered it was easy to find some amazing adventures in Gulf County using the Find Your Adventure Guide. It was here that we found and chose our Sunset Cruise and Paddle Boarding adventures. 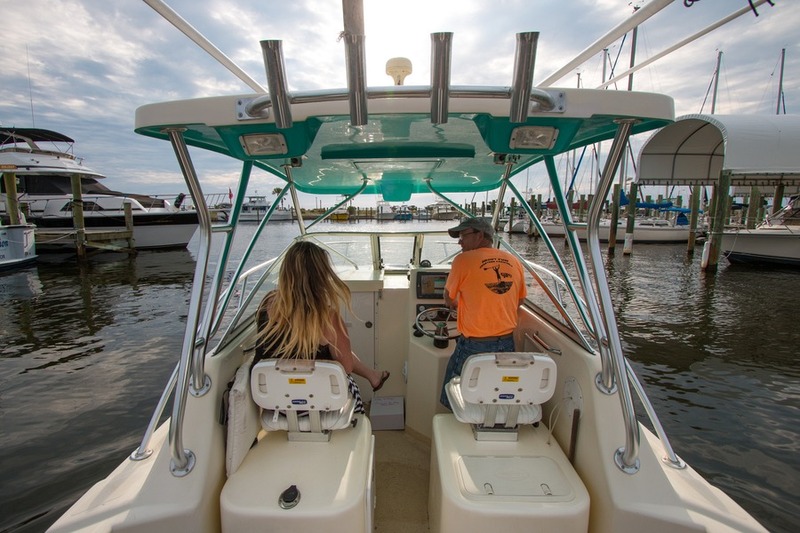 About Fun Charters is located in Port St Joe and took us on an delightful sunset cruise in search of dolphins. 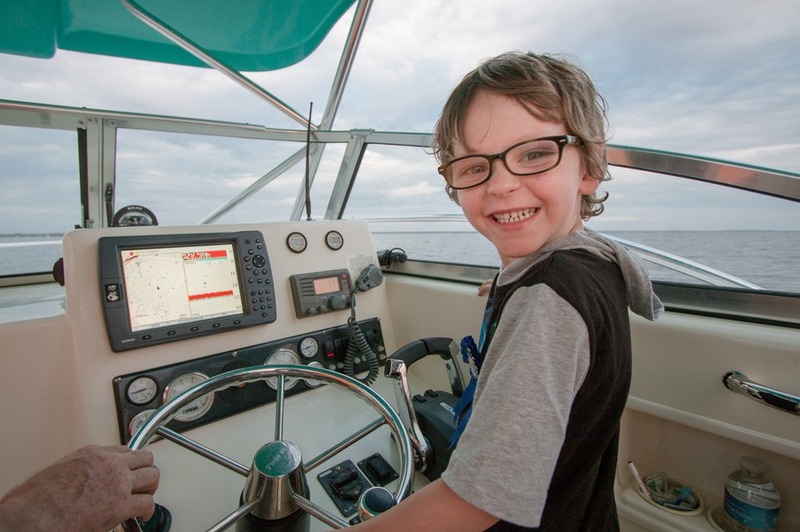 While we never found them, we still loved every moment of our cruise through the warm bay. The biggest surprise was the dozen cookie dough cupcakes that Gourmet Cupcakes from Mexico Beach delivered for my special little guy’s 6th birthday. So delicious and we got to share them with our amazing captain as well. As the sun set into the ocean our captain turned off the motors and we bobbed up and down on the small waves simply enjoying the tranquil moment. Perfect. 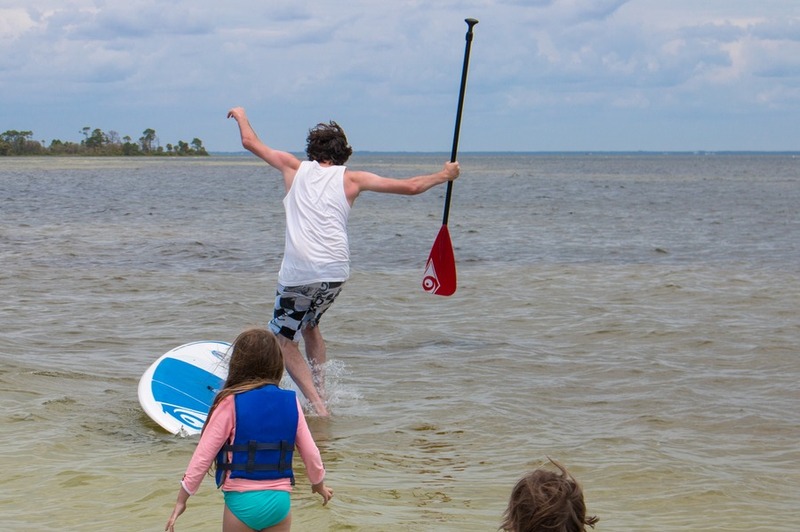 While I managed to have a quick try during a conference in South Walton, Josh and the kids were extremely excited to try their hands at stand-up paddleboarding for the first time. We picked up 2 boards from Daly’s Watersports. They even provided soft removable car racks, life vests and the paddles, of course. Based on a recommendation we drove to T.H. Stone Memorial St. Joseph Peninsula State Park located at the northern end of Cape San Blas. The park does not accept the National Parks annual pass and entry was US$6 for a private car. A very simple natural park, but with ample parking on the water, which made it easy to manoeuvre our boards into the water. We decided to try Eagle Habor (in Saint Joseph Bay) instead of the wavier Gulf, as it happened to be quite a windy day. Josh spent a bit of time trying to get vertical defying the strong wind, while Mia took to the board like a fish in water. Many laughs ensued as they stumbled into the water several times. Kids didn’t ask about TV or iPads. The only electronic sound was the click of the camera capturing our Gulf County memories. When I met my husband as a teenager he was a tanned body boarder and surfer. So it shouldn’t have surprised me that my 6 & 7-year-olds were as keen as their dad in the waves. One afternoon we walked to the beach and our kids soon made friends with similar-aged children riding waves. 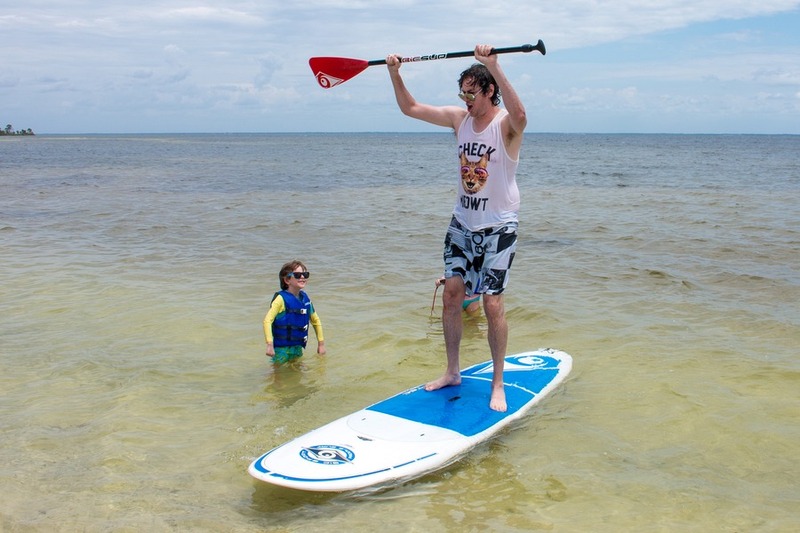 Josh joined them, teaching our kids the fine art of riding the surf. It was so precious and a moment I will never forget. Their laughter as waves were conquered. Their giggles as they tumbled head-over-heels, coming up sputtering and laughing. My husband pushing their board and letting them soar to the shore by themselves. Magical. We didn’t spend a lot of time finding places to eat as our home had the most amazing views. And we enjoyed home cooked meals on the balcony most evenings. Port St Joe had a Piggly Wiggly supermarket so we could stock up on food. We also ate out once at Subway (at the request of my daughter) and stopped for a McDonald’s ice-cream treat one warm day. We got recommendations from some locals on the beach about places to eat, but never made it out. We just could not get away from our sensational sea views at home. While harder to reach than some of Florida’s more popular beach destinations, Gulf County is truly a hidden gem. Many of the folks visiting this idyllic location have been regularly returning since they were kids, keeping this secret to themselves. But I’m willing to share this secret with you. 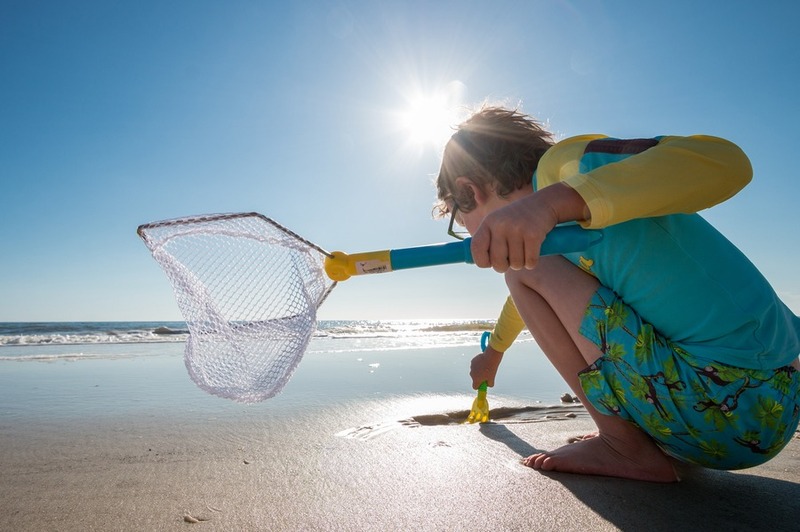 And perhaps it can become your own family’s secret getaway next time you want to leave the world behind and unwind with your toes in the sand. This post brought to you by Visit Gulf County. The content and opinions expressed below are that of me, Erin Bender. I love being by the ocean and Beau Soleil looks dreamy. I have fond memories of growing up messing about with my sister all summer long in the sea (although now I can't imagine it was warm enough that often) but that's how I remember it. The sunset cruise sounds a real treat too and what a beautiful sunset. 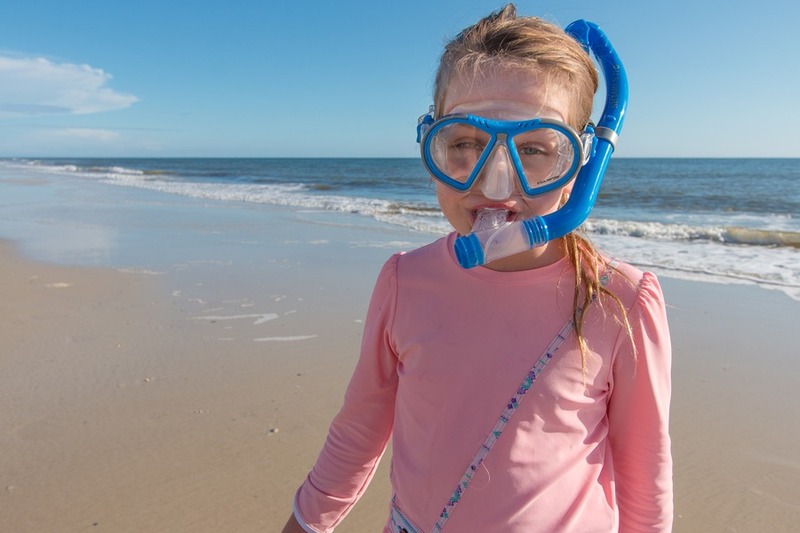 We have spent a lot of time in Florida over the years, but never heard of Cape San Blas. Thanks for putting it on my radar. Looks like a great place for a family trip and base for exploring the pan handle. Your kids must have had a blast. 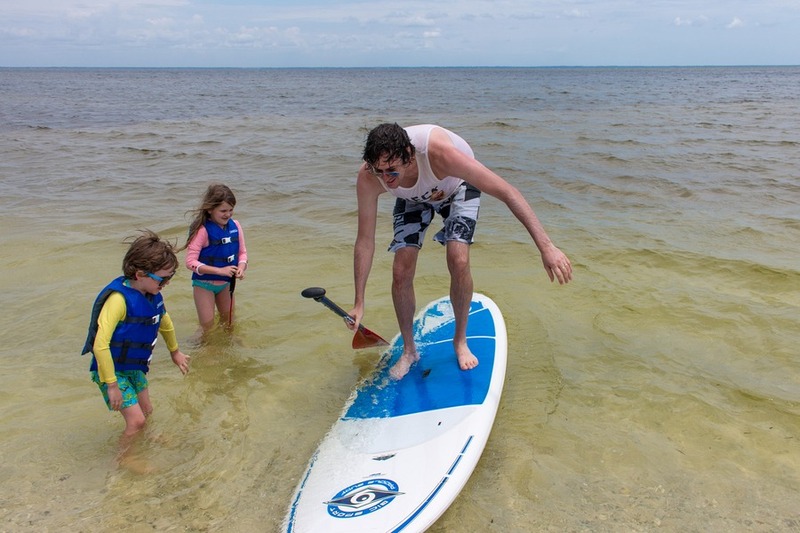 Love the SUP photos! What beautiful sunsets and the house looks to not only have a fabulous location but also looks beautiful inside and with lots of space, it seems. Pity you didn't see dolphins on your cruise but, judging by the sunsets, that would have been a treat in itself. 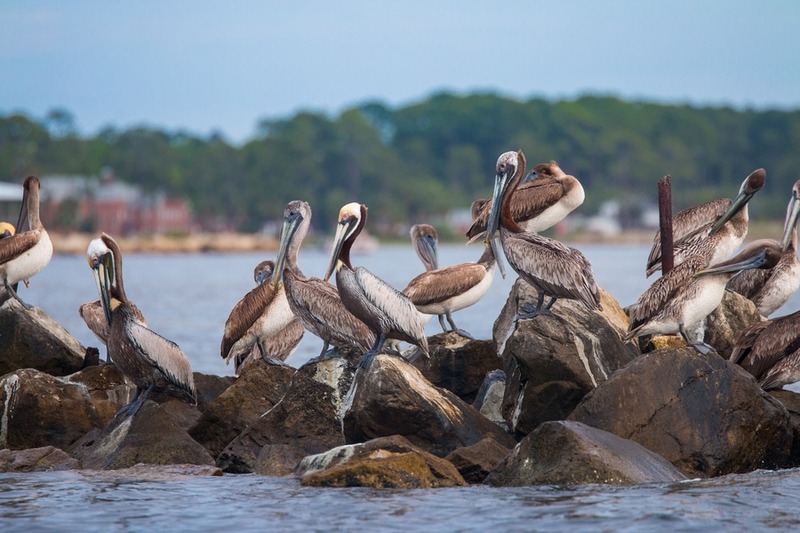 Amazing photos and great description of Cape San Blas. Did you find it to be expensive there at all? in comparison to say other beaches in Florida? We have been going for years, there is no place on earth more relaxing. 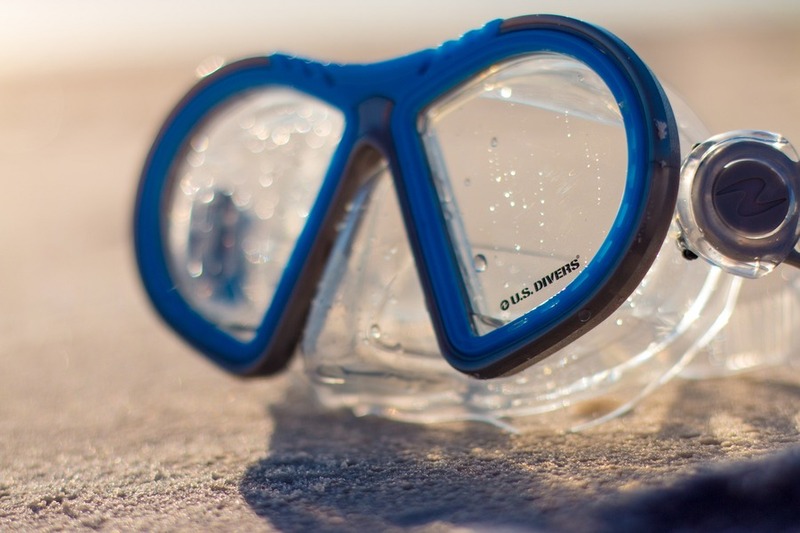 If you think you might be bored, imagine horseback riding on the beach, or kayaking and scalloping in the Bay. My rule was no watch or time piece and turn off the smart phone. If you feel Ike dinner out, try the Indian Pass Raw Bar for an evening get you won't forget, or for a longer field trip try Tamara's or Boss Oyster in Apalachicola. Thank goodness this is still The Forgotten Coast. I stayed near here with Exclusive 30A in a beautiful home. This is an amazing beach and I can't wait to come back. Thank you for sharing this information and I fully intend on coming back soon.